"I Think My Child Has Autism. What Do I Do?" If you suspect your child has autism (a developmental disorder characterized by difficulty with social skills, communication, and behavior), you can find information from various resources and professionals. Following are tips to keep in mind when going through the process of a possible autism diagnosis. Trust yourself. Know that as a parent you are concerned because you want to do what is best for your child. Talk to a professional. You may want to begin with the child's primary healthcare provider (family doctor or pediatrician). He or she may conduct a developmental screening and may refer you to a specialist for an evaluation. Write everything down, including questions, concerns, etc. You want to have information, such as examples of behavior or lack of communication, to support your concerns when talking with a professional (University of Pennsylvania, n.d., ¶ 5). Ask lots of questions. It's okay to ask questions. There is a lot of information on autism, and you are not expected to know it all. If a doctor tells you not to worry, ask if and when you should start to worry and why (UPenn, n.d., ¶ 5). Start early. Don't wait until it is too late to get help. If your child does have autism, you want to start intervention services as soon as possible. 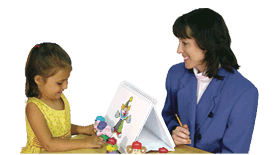 Early intervention services can help enhance a child's development (UPenn, n.d., ¶ 6). What if I Don't Know Exactly What to Look For? Remember to enjoy every day with your child. It's easy to get caught up in a diagnosis and forget about the important things in life. Every child is unique and has special gifts. Most importantly, know that you are not alone. Take advantage of resources and seek out professionals who can guide you.